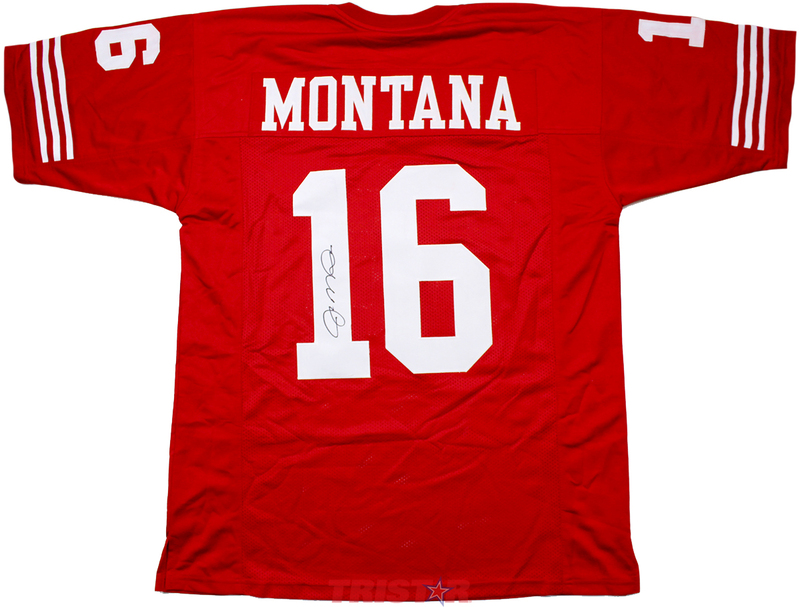 Joe Montana, one of the greatest quarterbacks in history, led the 49ers to four Super Bowl victories, winning the Super Bowl MVP honors three of those times. He led the league in passing five times, and 39 times he passed for more than 300 yards in a game, including seven times in which he surpassed 400 yards. 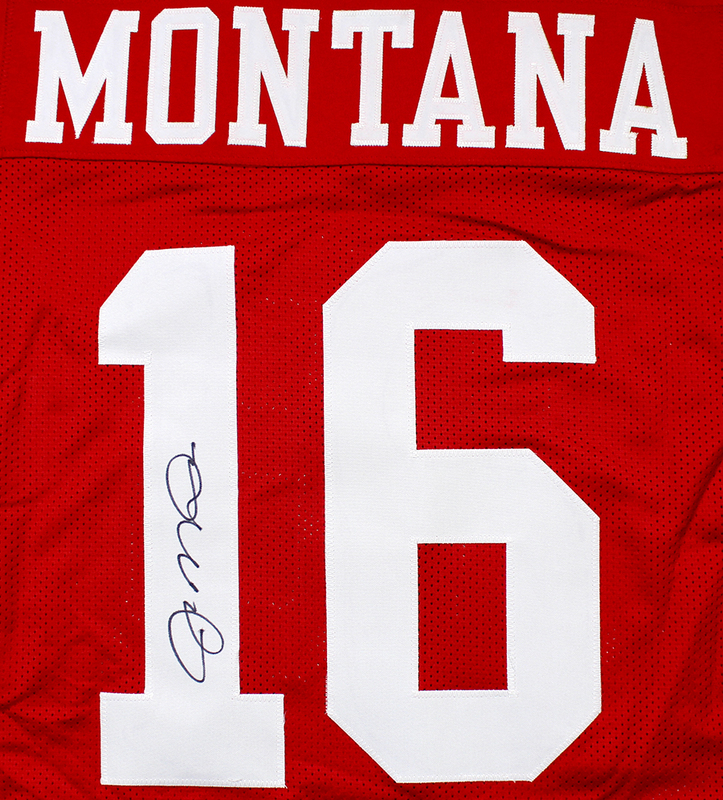 Montana’s six 300-yard passing performances in the post-season are an NFL record, and he owns the career playoff records for attempts, completions, touchdowns and yards gained passing. He was enshrined in the Hall of Fame in 2000. 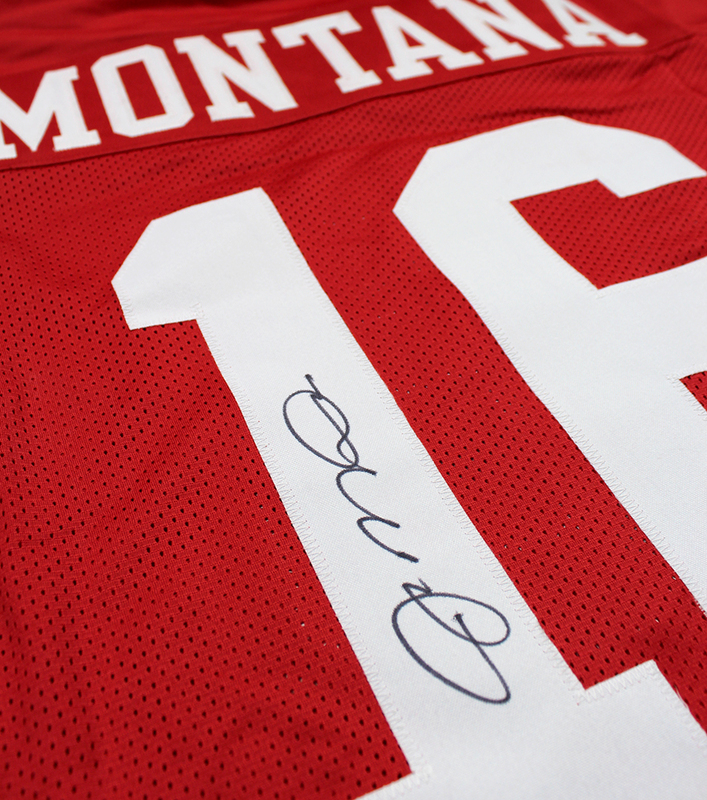 Joe Montana has hand signed these custom pro-style jerseys. Each autograph is guaranteed authentic, and includes an individually numbered TRISTAR Authentic hologram. Note: Custom jerseys are made from high quality material with sewn on name and numbers. They do not contain any brand names, logos or tags. Approximately size L-XL.